Sometimes I have to pinch myself when I realize that we live in Switzerland. We love getting to experience a completely new way of life and new customs. This past weekend was no exception, when we attended the Semsales Desalpe Festival. What is a Desalpe you might ask? 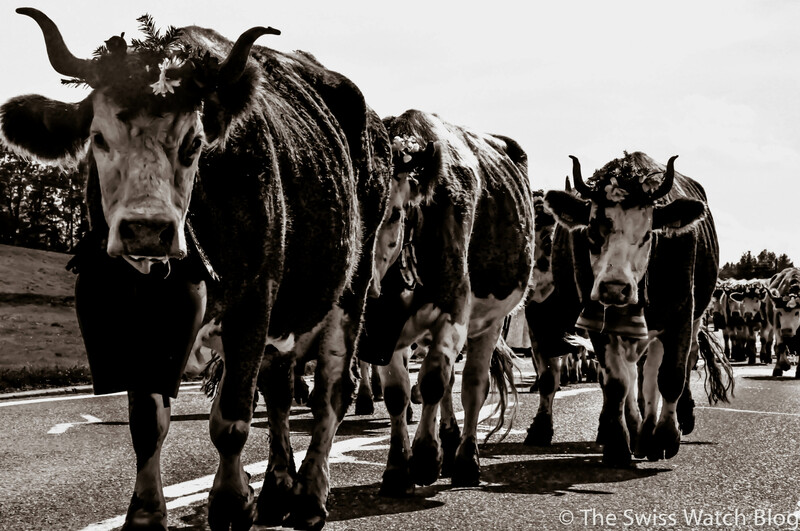 In Switzerland, the cows happily live in the Alps in the summer, munching away on the greenest of grassy pastures. 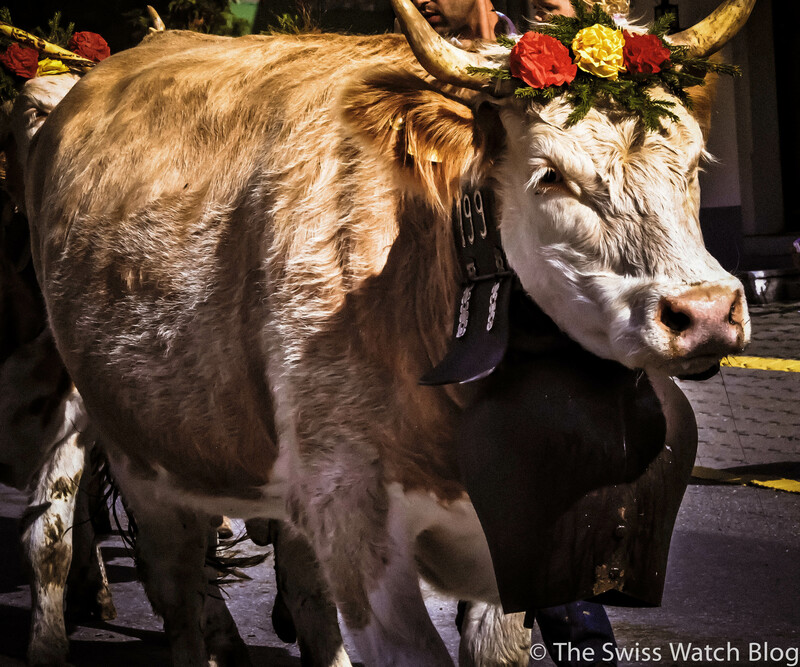 However, the cold snowy temperatures that come in the winter are even too harsh for Swiss cattle. 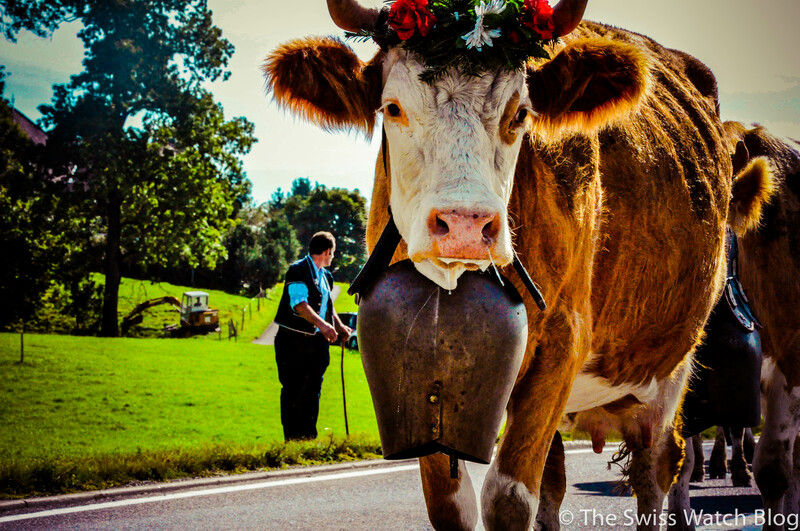 So every Fall, the happy Swiss cows come down from their summer home in the high Alps to their lower grassy pastures and barns. 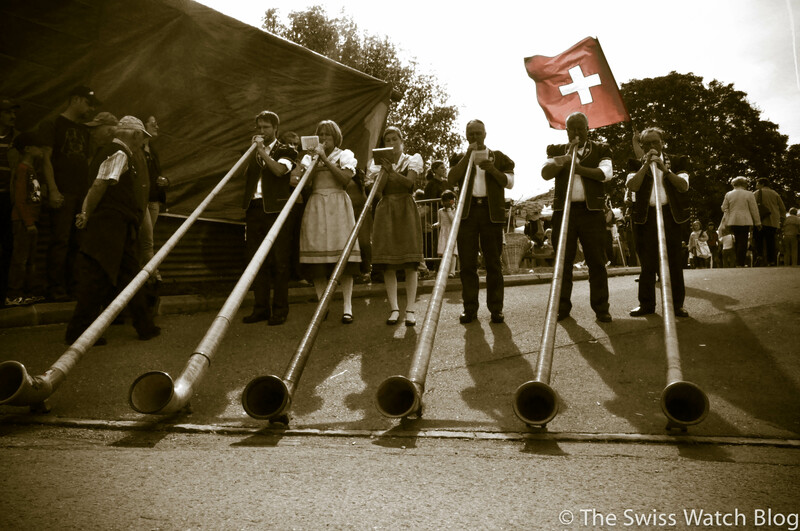 Most small villages celebrate their return home with a Desalpe Festival, literally translated, “from the Alps”. 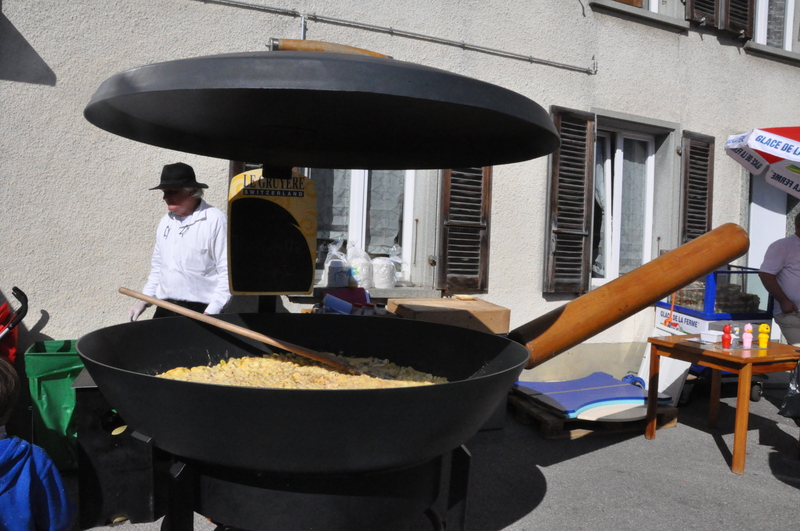 We attended the festival in the town of Semsales, in the canton of Fribourg, near Gruyeres. This festival is special because of its spacing. 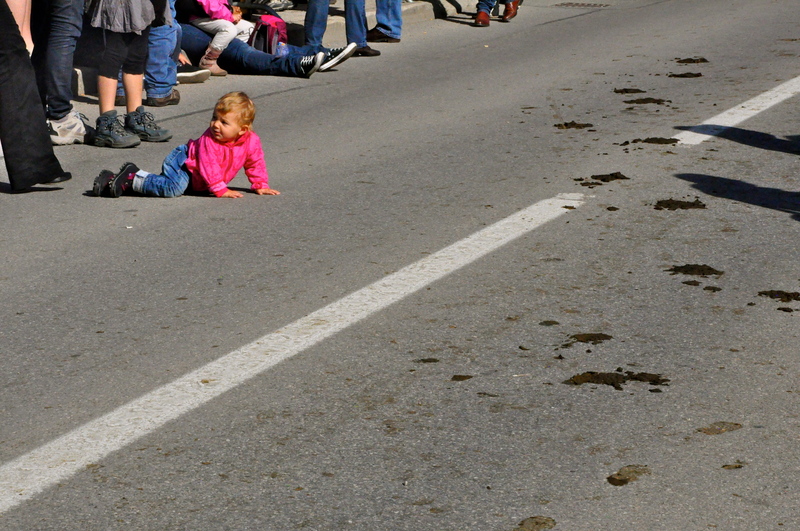 Typically, all the herds are condensed in one parade. However, in Semsales, each group gets the individual spotlight. From 10:00 in the morning until 18:00 in the evening, a total of 14 families march through town proudly, welcoming their herd home for the winter. We got quite an awakening to the procession when parking our car. Literally, one of the herds came into us! Nope – not Christmas in October. Just the Desalpe festival! 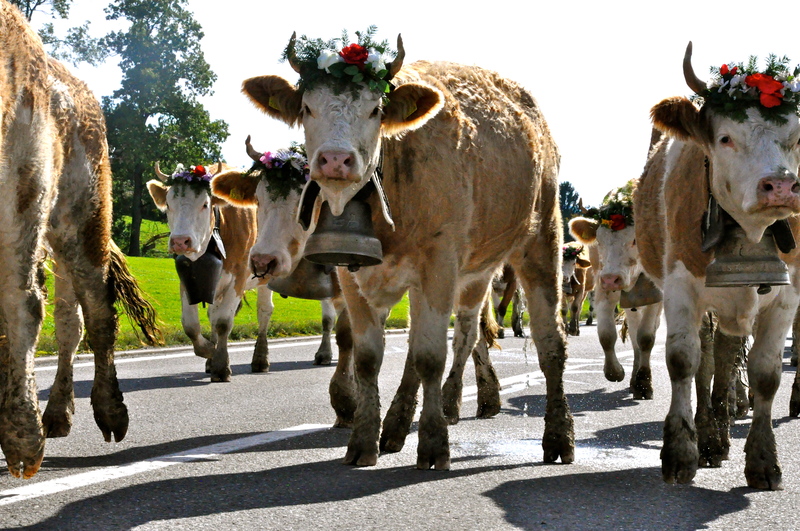 Then comes the more subdued cows….smaller floral arrangements. This lady has a classier look going on. But what she looses in floral prowess, she makes up in cowbell size. Holy cow. 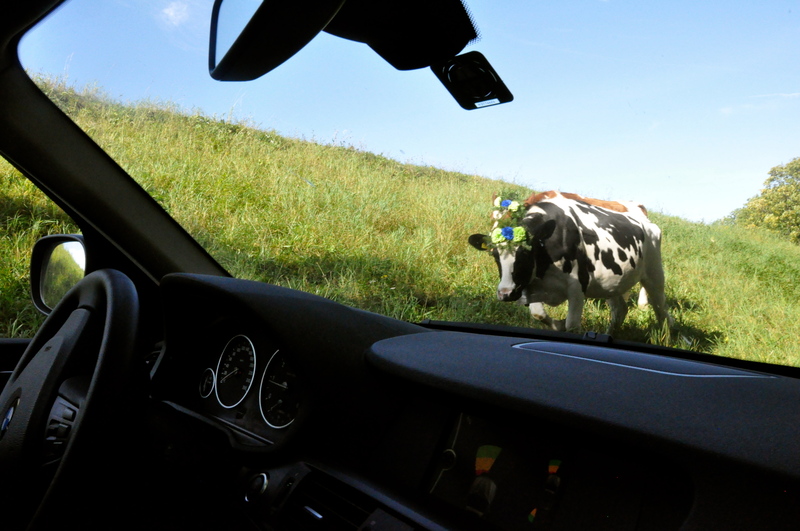 Moo-ve over and get out of my way, lady. 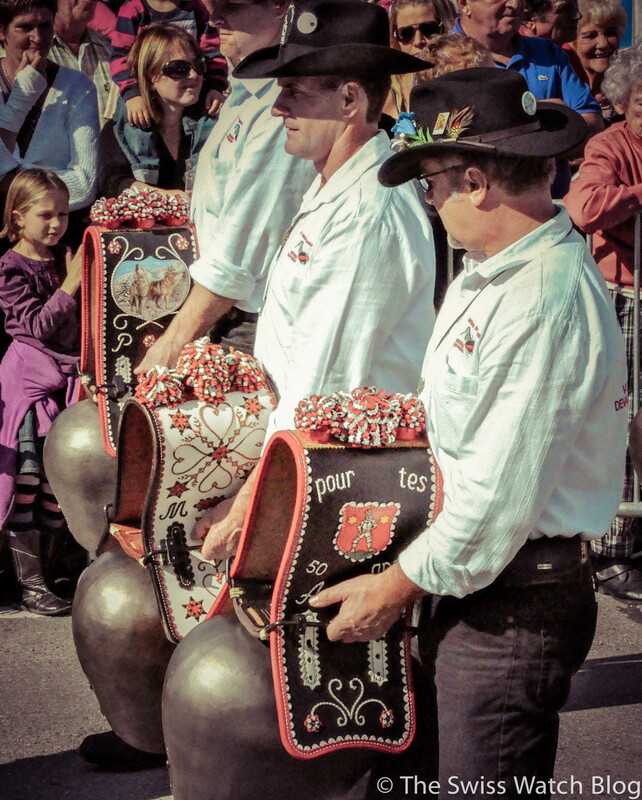 Handling their bells. The muscles on these folks have to be strong! They also have delicious cheese and meat based foods. 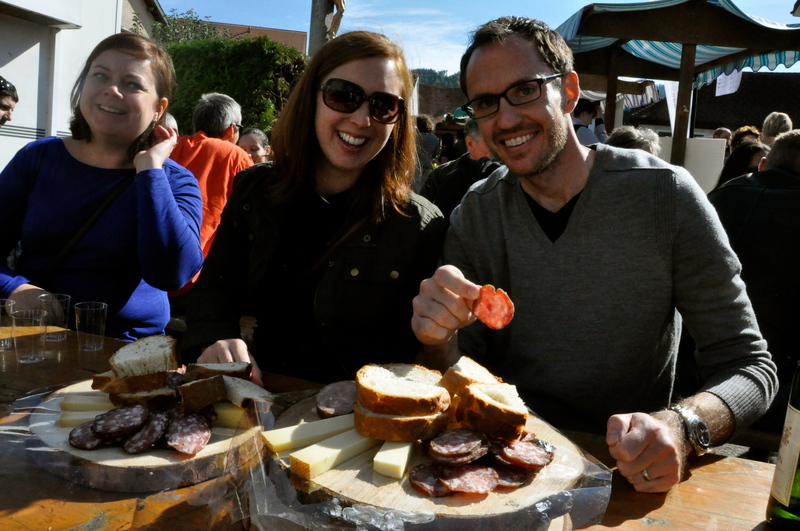 Local meat, cheeses, and breads for lunch. Plus some nice red wine from the nearby vineyards. If you are attending a Desalpe, just make sure to wear old shoes or maybe even some wellies. You are most certainly going to step in something nasty. I thought this was my best picture of the day until I realized what was happening. This entry was posted in Alps & Other Big Mountains, Daytrips from Geneva, Festivals & Events, Holidays & Traditions, Switzerland, Travel: Within Switzerland, Visits & Trips with Visitors. Bookmark the permalink. Gorgeous pics – looks like you had amazing weather & a bounty of photo ops! Sepia tinted photos leaving the red of the Swiss flag untouched. Spectactular. Love the pics! The cows are so cute.